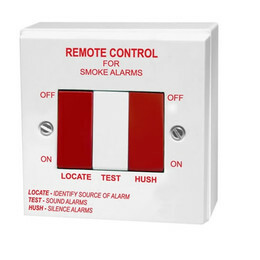 The EI1529RC is a test, locate and silence switch that runs on 230V AC mains power and is designed for use with Aico 2100 and 160RC series smoke and heat alarms, and 260 Series Carbon Monoxide alarms. 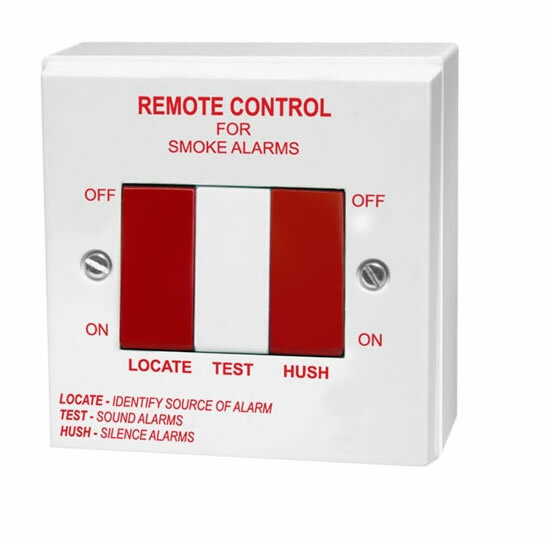 The Aico Test, Locate and Silence Switch increases the flexibility and user friendliness of the alarms by allowing the user to 'Test' the alarms in the system, remotely 'Locate' the source of the alarm and 'Silence' any nuisance alarms. For use with Aico 2100 and 160RC Series smoke and heat alarms and 260 Series Carbon Monoxide (CO) alarms.